Home / Translation / How to modify theme text in English with POEDIT. You can translate WP Estate default text in any language with POEdit. 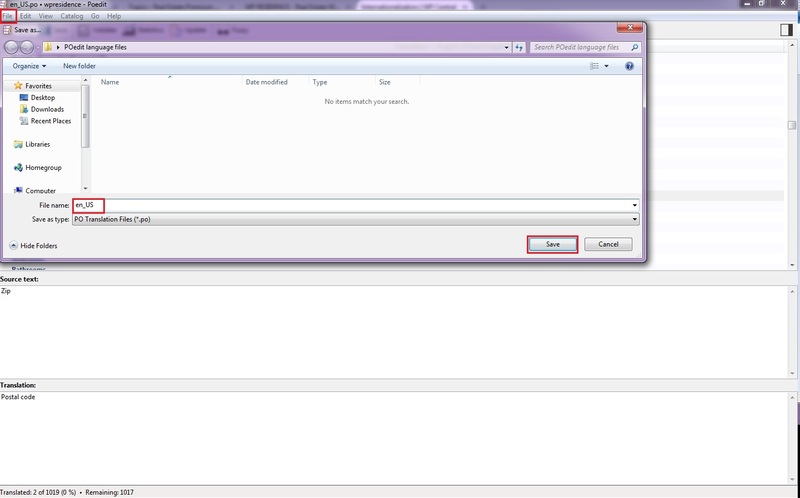 This includes modifying English terms and replacing them with your english terms (like Zip to Postcode and so on). You can also use LOCO TRANSLATE plugin to create the en_US.po from wp-admin and do the translation. 2. Open with POedit the wpresidence.po file located in languages folder. * For those that have language files they need to download those on their computers and make edits on those. 3. 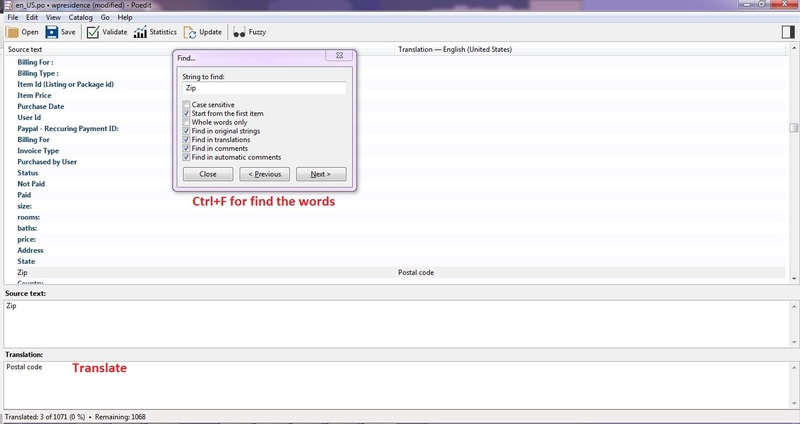 Translate the file using POedit. 4. Save the file with the proper name (for example en_US.po). If the file name is not right the translation will not work. See this link for the proper name http://wpcentral.io/internationalization/. 5. Upload the .po and . mo files in wp-content/themes/wpestate/languages/ folder. 7. After all those steps go in Admin – General Settings and you should see a dropdown with Languages. 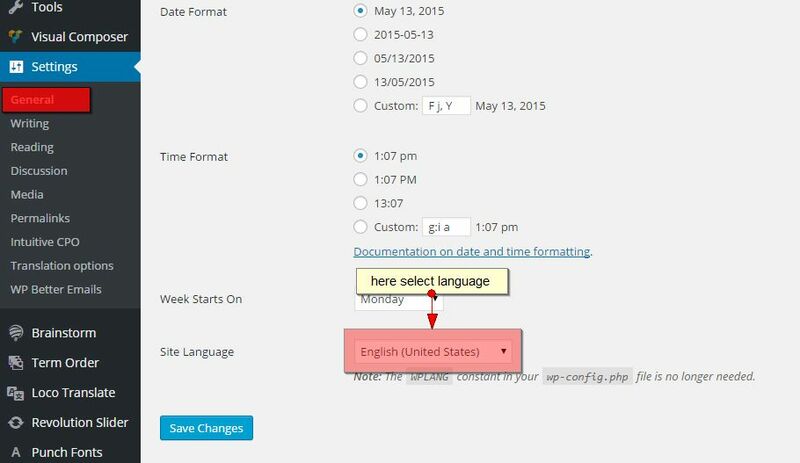 This is where you will find the languages available based on the language code you translated – http://wpcentral.io/internationalization/ . Select your language that matches the .po name and that should be all. 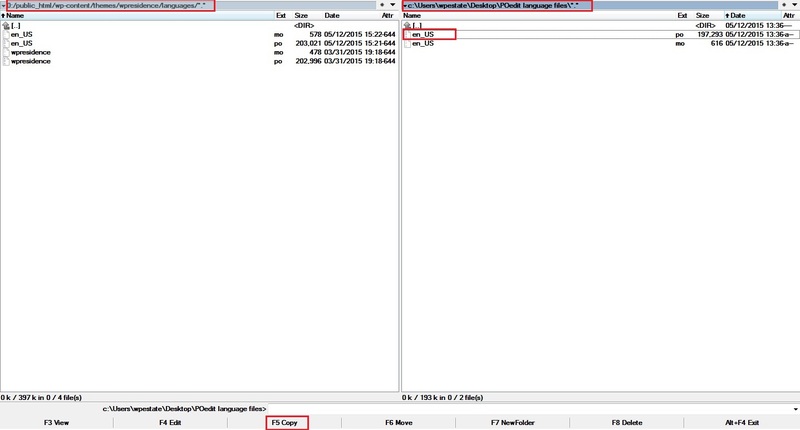 Extra note – How to update an existing translation file with new theme updates terms.